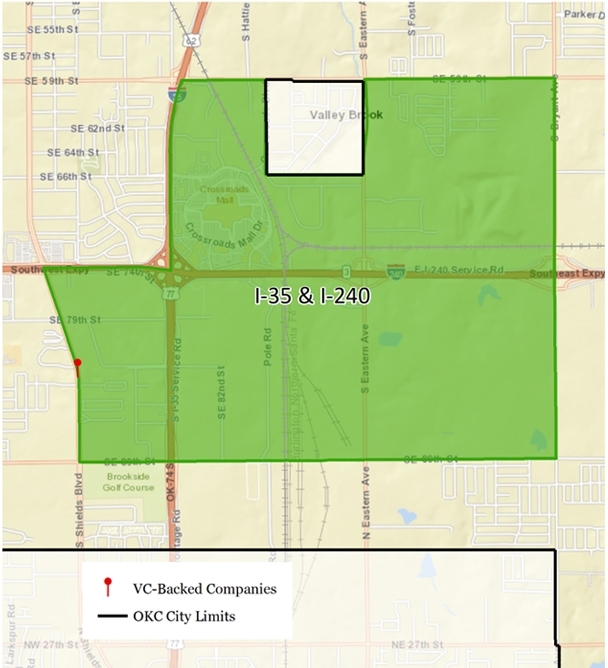 Each of these opportunity zones has a distinct competitive position which will naturally drive investments in certain products. 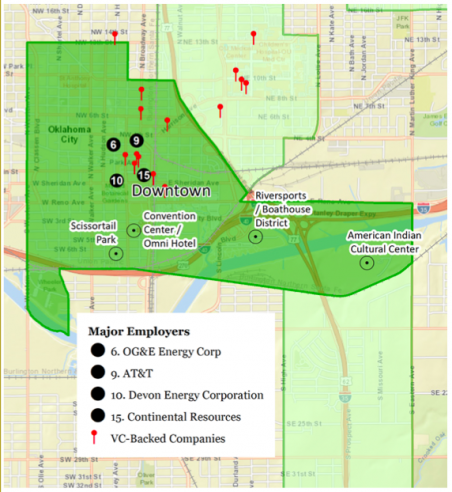 Over $1 billion in investment currently under construction at the intersection of Robinson and the new Oklahoma City Boulevard including a new convention center, Omni headquarters hotel, 70-acre Scissortail Park and Modern Streetcar system along with a new city parking garage and additional developments. 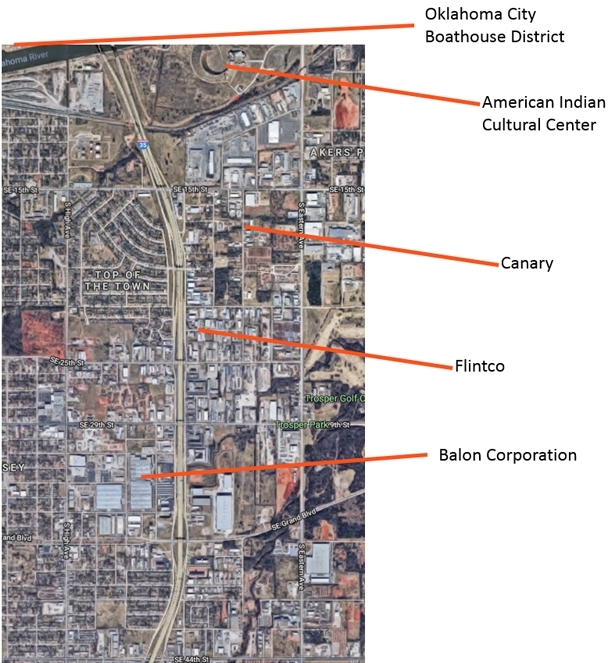 Formerly a dry river bed, the Boathouse District features several architecturally significant and functional boathouses with event spaces, kayaking, stand-up paddle boarding, an 80-foot adventure ropes course and Class II-IV whitewater rafting in the heart of Oklahoma City. One of downtown Oklahoma City’s architectural treasures, the restoration of this 1921 art deco tower currently under construction includes a boutique hotel, luxury apartments, retail, restaurants and structured parking. 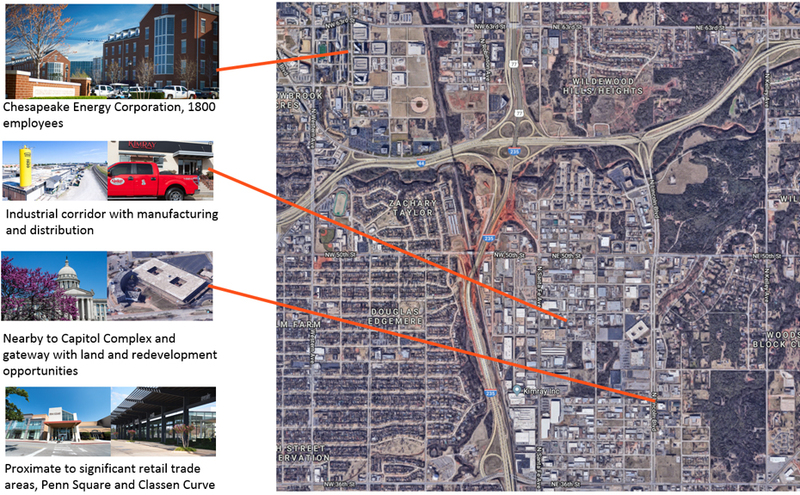 Current private and public land at the heart of downtown available for redevelopment. 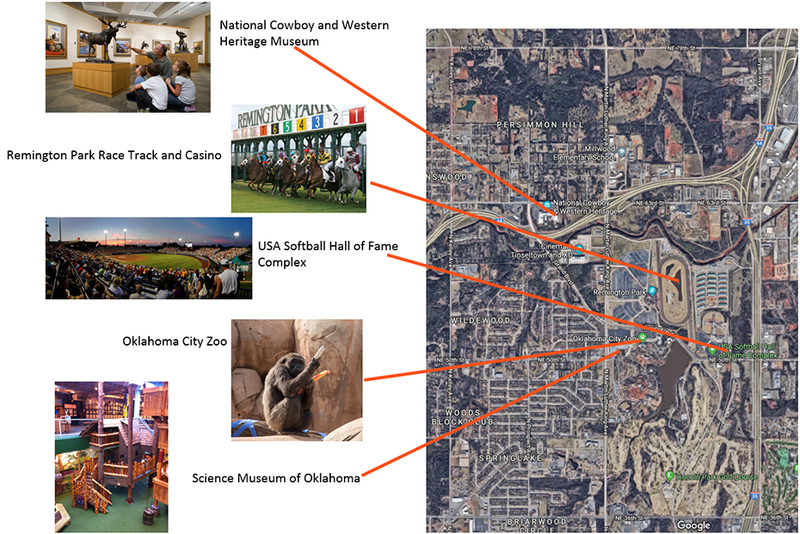 Graphic includes artist rendering of potential uses. This $65 million cultural center and museum will tell the history of the 39 tribes in Oklahoma. 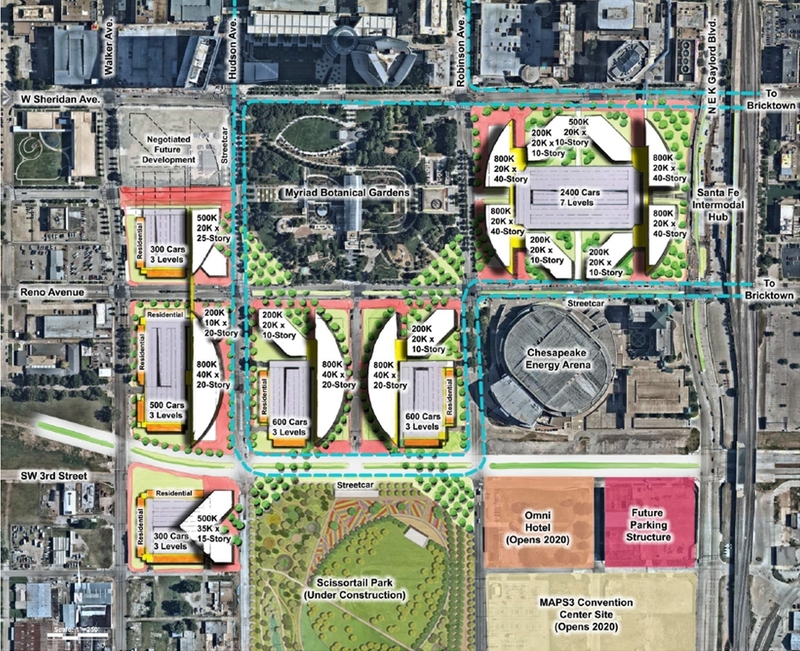 Set to open in the spring of 2021, the site plan includes development opportunities around the property to support conferences, visitors and to maximize the site’s location at the crossroads of I-35 and I-40. Combined industrial and residential with historically high concentrations of oil field equipment and services operations. Each day, 146,000 cars travel this portion of the interstate. 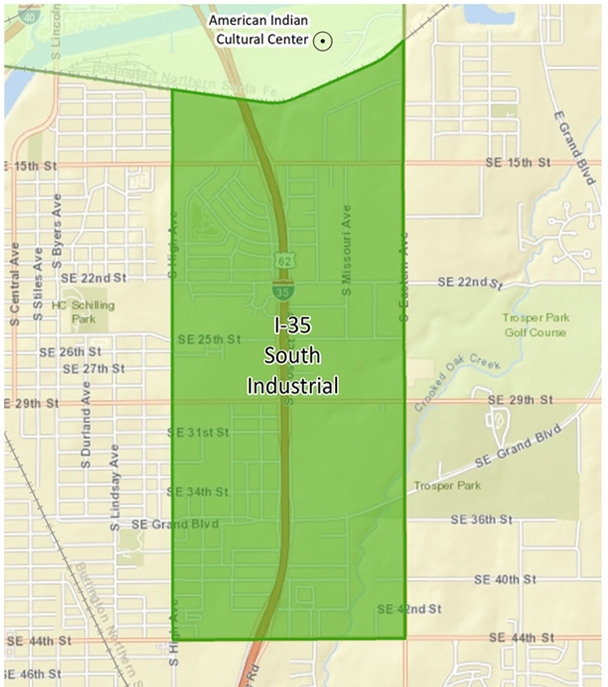 Industrial area with significant disinvestment and high traffic flows. 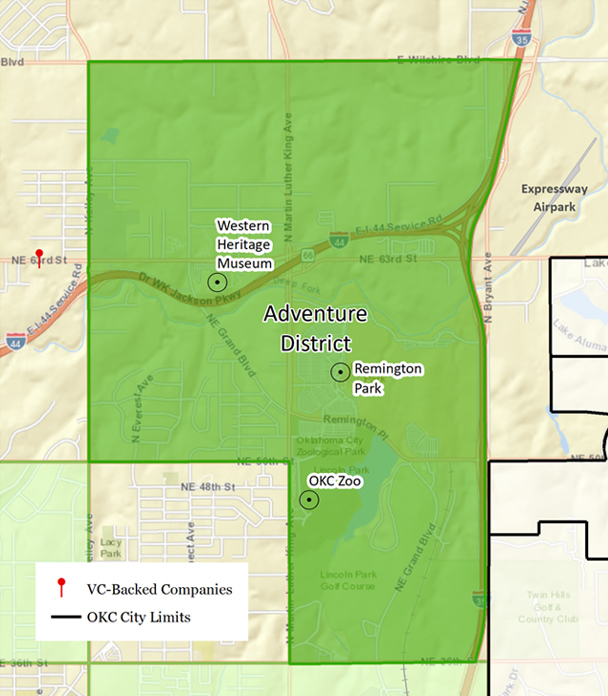 Adjacent to the fastest-growing and highest-income zip codes on south side of OKC. 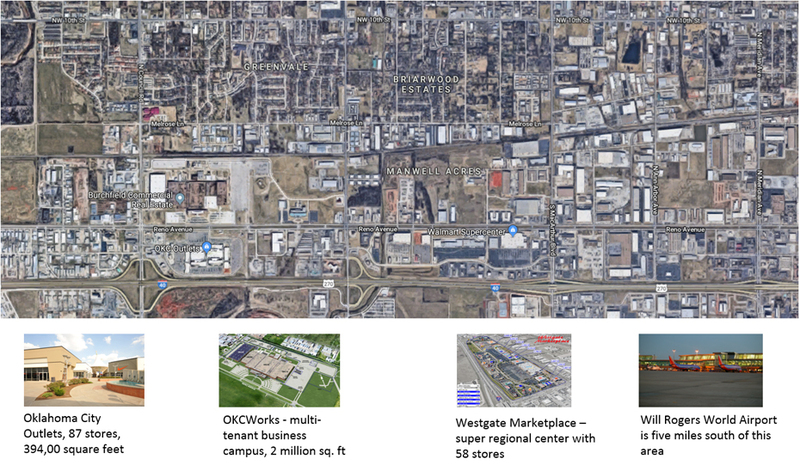 Location at significant highway interchange (143,000 cars on I-35; 107,000 cars on I-240) with large available buildings (including former mall) and land. 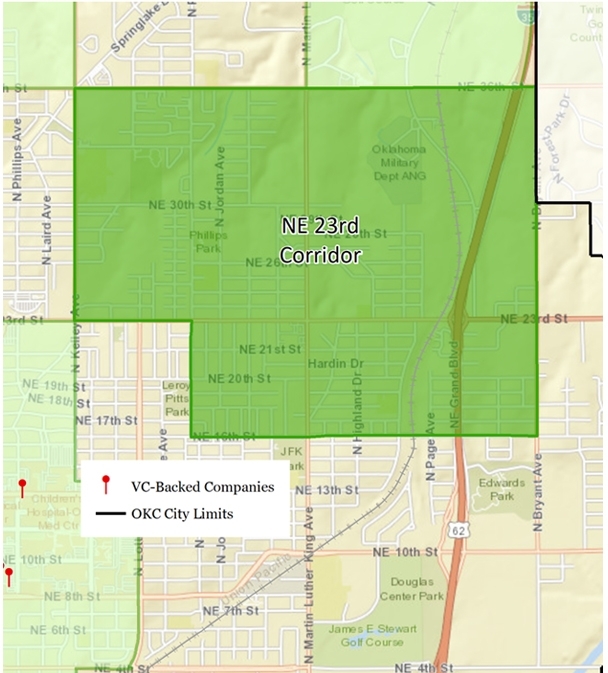 Access to new BNSF Logistics Center. 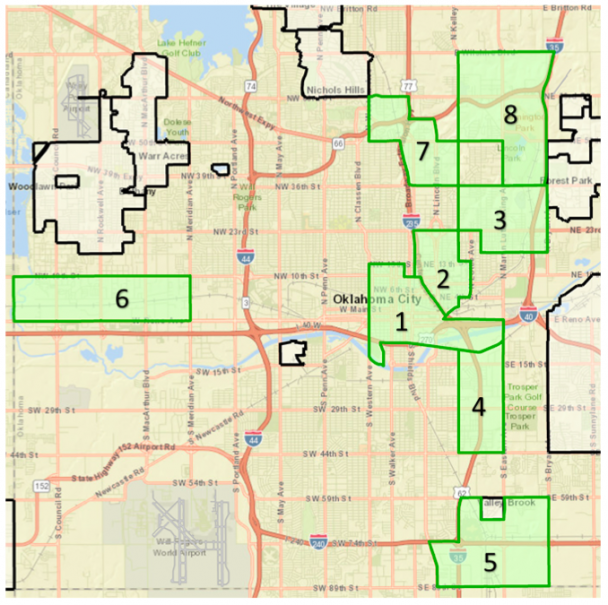 Combination of industrial corridor with residential areas showing significant disinvestment. Served by rail. Combined industrial and residential development. Each day, 84,000 cars travel this portion of the interstate. Combined industrial and residential development. 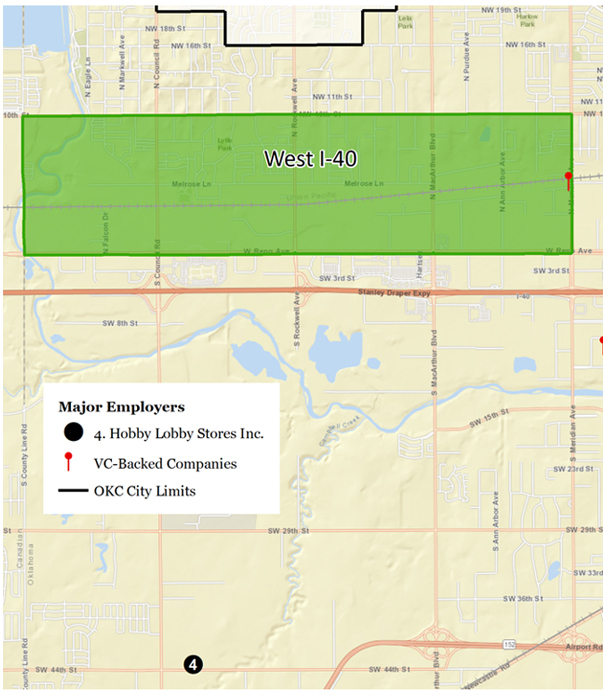 Each day, 101,300 cars travel on I-44 and 92,100 cars travel on I-235. 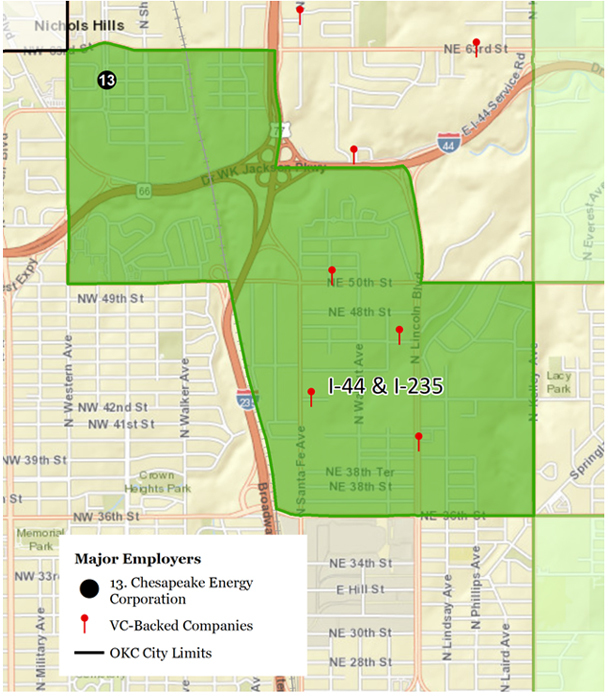 Calculated the percent of jobs in each tract that are construction, manufacturing, transportation and warehouse. Tracts of more than 25% are flagged as industrial. Utilized national dataset of hospitals and colleges/universities. 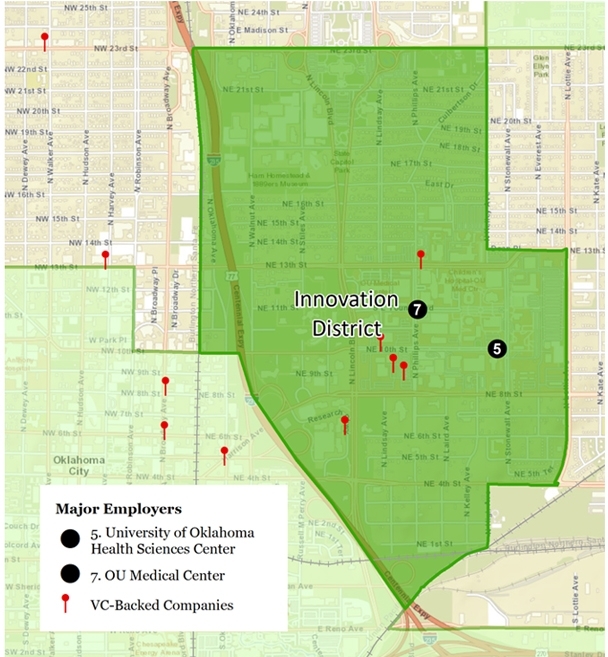 Flagged tracts with hospitals with 300+ beds and/or universities/colleges with 5,000+ students as anchor tracts. 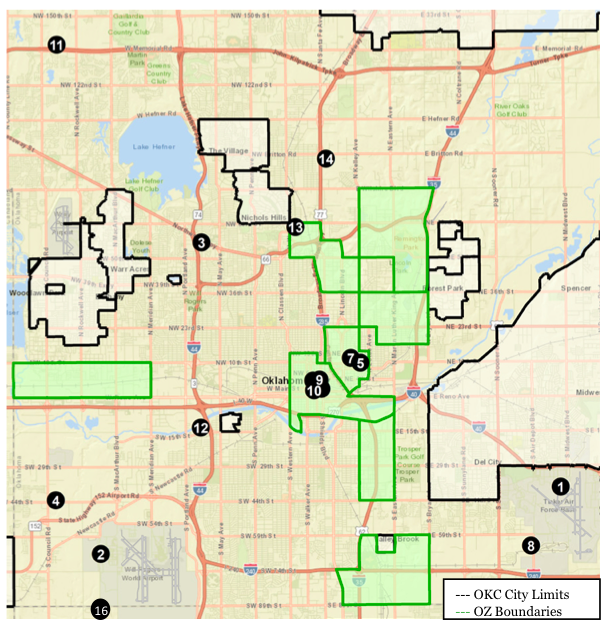 Tourism: Tracts with dominant land use pattern.